CNN will be re-airing Enlighten Us this Saturday evening at 9:00 (check local listings), so if you missed it, you have another opportunity. As I wrote here, I don't think it's good, or fair, but it is worth seeing. I've been doing a little more digging into the odd bits of media coverage surrounding its television debut, because I was left with lingering questions about the director's choices and perspective. One of the main things I've learned is that there really isn't a lot of interest in this documentary or in James Arthur Ray, as demonstrated by the dearth of coverage. The debut in the Tribeca Film Festival got a little coverage, but not as much as you might expect. I did find a smattering of new material, however. CNN pimped the television debut with some interviews, and, like the documentary, they're worth seeing if only for Ray's unconscious self-reveals. I also rummaged up a few articles. The most in-depth piece I could find is in People magazine. People is owned by Time Inc., which is part of Time Warner, which owns CNN. In all these interviews, Ray paints himself as a victim of the legal system, but explains that Kirby Brown, James Shore, and Liz Neuman weren't victims at all. They were heroes. He's kind of heroic himself and hopes his ability to survive all he has suffered can serve as an inspiration to struggling people everywhere. He's taken responsibility, though. He's definitely taken responsibility. So "it" – the "tragedy" – was on trial and found guilty, not Ray. I guess it was the tragedy that was convicted of negligent homicide and went to prison? Ray, of course, stood trial very specifically for his "work." He stood trial and was found guilty for running a dangerous event that got people killed. Ray made the rounds at CNN, appearing on New Day and CNN Tonight. I would not call these hardball interviews, but he did face some tough questions. Ginny Brown was also interviewed by Sara Sidner in a segment that aired on The Lead with Jake Tapper. (see above) He may not have had to face her, but he did have to face her forceful words. The sound quality on the New Day segment is terrible, because it's not from a broadcast. It was apparently recorded on a handheld device by one of Ray's staffers. I could find no video of the broadcast itself, but after some digging through the show's transcripts I can confirm that it aired in the final half hour of the December 1 show. I'm glad Ray posted this rare footage on his channel, because, once again, he apparently has no idea how badly he comes off. Neither Alisyn Camerota, nor John Berman seem convinced at all by Ray's answers to some fairly straightforward questions. In fact they seem a little shocked. Camerota confronts him directly on how unhappy the families are and Ray rolls out his talking points about having "taken full and complete responsibility," then once again, deflects all responsibility. What they did not challenge Ray on is how taking "full and complete responsibility" and doing "everything that was asked" of him accords with his having plead not guilty and now trying to have his conviction set aside. Whatever responsibility he's taken, he was compelled to take by the criminal justice system. It was not offered freely as some brave act of conscience. "None of us could have foreseen..." he says, for millionth time, as if it were true. But many foresaw this occurring and warned him directly, particularly after the 2005 sweat lodge that put Daniel Pfankuch in the hospital. A medical doctor, David Kent, who participated in the 2008 sweat lodge, also confronted JRI staff about people suffering heat related illness and risking death. 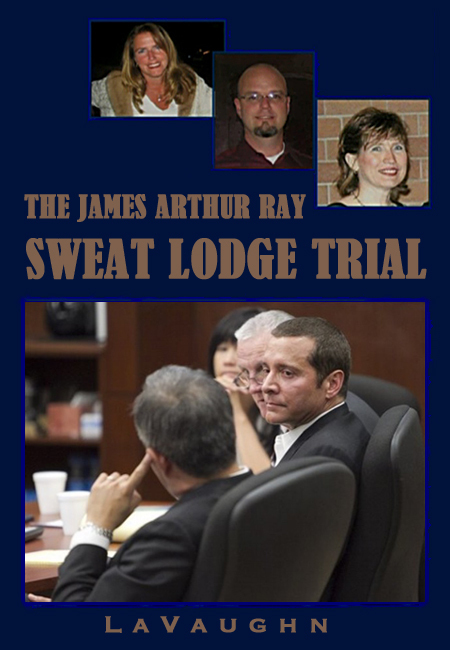 The jury was prevented from hearing much of this, but James Ray knows it full well. Berman actually stammers a bit as he tries to make sense of Ray's claim that his victims aren't victims at all. They're heroes, who gave it all they had, as if they'd given their lives for some greater purpose. "There's a much bigger story here than just what even told in the documentary. It was kind of glossed over in the coverage by the media. It was not wanted to be heard by the judge or the jury. And, you know, I'll leave it at that..." Ray explains to the total confusion of both interviewers. What that story is he never explains, and they fail to make him. Other bizarre statements come when he tries to generalize his experience and tie it to everything from the election, to the economy, to the daily struggles of ordinary Americans. He's still portraying himself as the victim of some horrible twist of fate, rather than a convicted perpetrator who killed people through his own negligence. "I was broken. And I was in anguish over this. I've repented and I've anguished and, at some point in time, we as a country, we as a world, we as an individual, have to pick up and move on." There's something very wrong with the way James Ray expresses and articulates emotion. As stated, he cries without shedding tears and "anguished" is an adjective, not a verb. But he would like people to know that – now that he's over these situationally appropriate human emotions that he very definitely experienced – we should all be over it, because he = we. Things got even stranger on CNN Tonight with Don Lemon. Lemon's trademark deer in headlights look seems to have emboldened Ray to grand flourishes of ego. Taking full advantage of this prime time slot, Ray goes on the attack. Confronted, once again, with Ginny Brown's statements, Ray deflects with ad hominem. "You know, the unfortunate truth is that my greatest critic who said her daughter was cooked was actually estranged from her daughter. And that was one of the reasons her daughter was there was looking to find clarity around her own life and to live her own life above and beyond what her family, friends and society had imposed upon her and tell what she should do." Jean Brown addressed this falsehood in her video, which I posted here. But even if what he said were true, what would that have to do with the price of tea in China? Mothers can't care about estranged daughters who are killed? Because a family has problems, Ray is not responsible for cooking people to death?! It sure sounds like he's saying, Sure I killed your daughter, Ginny, but only because you drove her straight into this kiln I made, by being a terrible mother! There is something really disturbing about a man, who was convicted of killing someone, appointing himself as her spokesperson after her death and using his media provided microphone to blast her grieving family. He also continues to shift blame to his victims. As he did in the documentary, he keeps using the word "willfully," as opposed to "willingly," to describe the choices made by the decedents. But willfulness generally applies to deliberate misconduct. Ray was willful. He willfully disregarded numerous warnings, through the years, of the increasing danger of his insanely hot sweat lodges. He willfully ignored concerns from participants about people who were showing signs of distress. He willfully shamed delirious people who tried to leave the tent in pursuit of oxygen and a lower core body temperature. He willfully lied to Don Lemon right then and there, when he said, "they were told as you saw in the clip, they were told about the dangers." Yes, we all just saw the clip and he did not warn anyone about the dangers. He told participants they would "feel" like they were going to die, not that they could actually die. He told them their death would be symbolic, and bizarrely enough that people go into a womb to die. This was the exact opposite of a warning. He told them to expect feelings of impending death and to embrace them, rather than to heed their instinct for self-preservation. Ray also took this opportunity to attack the legal system that tried, convicted, and incarcerated him. More disturbing, he claimed that the documentary producer shared his sentiments. "First of all, several people approached me about different projects and, excuse me, doing different things. And some of them were going to actually pay me to be involved in those. And I didn't feel right about that given the situation, the tragedy and circumstances. So, when Allyson approached me about this project, her whole approached was that she felt I had been done wrong by the system and had been manipulated and misused. And I thought, wow. You know, a large percentage of our country feels like the system is rigged, as we've heard a lot of lately. And so this might be a good opportunity to really speak to the people. And obviously, it's not the movie that ended up being made but that was the first reason that I made it." Yes, we are meant to believe that he graciously declined paying projects, even though he doesn't have a pot to piss in or a window to throw it out of. This integrity doesn't extend to his maybe not trying to capitalize on this documentary to reboot his career, however. We only have Ray's word that producer Allyson Luchak had intended this documentary to be an exposé of the "rigged" criminal justice system that persecuted this hapless self-help author. Was she shining Ray on to gain his cooperation? Did she say anything remotely like this? We really don't know. We do know that this documentary allowed Ray to play the victim for an hour and a half and his actual victims to be reduced to marginal characters in his drama. CNN also gave air time to survivors of the 2009 sweat lodge who appeared in the documentary. In this interview, Brandy Amstel was able to directly respond to Ray's spinning Brown, Shore, and Neuman as heroes, rather than victims. As a self-described victim of Ray's herself, she says he's "deflecting" and "not taking responsibility." Unlike Ray, Laura Tucker did not see the loss of life she witnessed as some necessary sacrifice for her personal growth, saying to CNN Newsroom's Brooke Baldwin, "I can never say that anything that cost the lives of three people was worth it, whatever it was." Pay attention, Mr. Ray. This is how human beings, with a normal emotional range, act in response to tragic loss of life. Ray loves the limelight. That much is clear. He's grabbed as much attention as possible with this documentary. Hearing what director Jenny Carchman and the aforementioned producer Allyson Luchack have to say for themselves is considerably harder to suss out. As stated, Carchman is an invisible and virtually inaudible presence in her film. But, she did do a smattering of publicity. In the People article she provided a number of rambling, barely coherent run-on sentences. Asked about her choice to exclude the family members of the deceased, she responded with many mismatched adjectives and a lot of hyperbole. While Carchman carefully avoids any real value judgment as to Ray's character and culpability, she seems very caught up in Ray's charismatic allure. Sure he's compelling. He's intriguing in the way that all malignant personalities are, but when you gloss over the harm they do to people who aren't darkly fascinating psychological studies, you dishonor the dead and pave the way for more destruction. While plumbing through CNN's transcripts, I stumbled on an interview Carchman gave Brianna Keilar. Keilar asked some challenging questions and even used the n-word (narcissistic). Carchman deflects every question about Ray's character and motivations. KEILAR: OK. So he has a lot to say, but he's someone who -- was found responsible for three people who died at his retreat. Does he feel responsibility for that? CARCHMAN: You know, I -- again, it was a question you would have to ask him. I think he says he's responsible. He uses those words that he's responsible, whether or not he actually feels responsible, I think he has to say for himself. But I think he's using that language. KEILAR: OK. So what do we learn from him in the film about his perspective on what happened and how that relates to him going forward? CARCHMAN: Sure. Well, in the film, you see him looking at this experience as something that's happened to him. And you hear him talk about this experience as something that he has had to overcome in his life. And what I found when I was filming him, and he's done several speaking engagements, w since we started filming with him is that that's what he is trying to communicate to his, to his audience is that, he's learned from this experience and he is trying to get on with his career because of it. KEILAR: OK. So that strikes me, when you say that he talks about this as something that has happened to him. We know -- when you -- you mean, like, the deaths of these individuals? Or -- going to jail? Because when you say that, and if that's really how he is characterizing it, it seems to me that that could be by some people I'm assuming they look at that and feel that is something that could be pretty narcissistic, when we're talking about people three people who's lives have been lost and none of them are Ray's? CARCHMAN: I think you're right. And I think the point of the film is to have audience members watch what he says and how he behaves and come to their own conclusions. I certainly made a film that's asking a lot of questions. Not necessarily answering them for you. The idea of the film is that you can watch James and you can hear what he has to say and come to that decision yourself. It's not that it's wrong for a journalist to dispassionately allow a subject to speak for himself and to leave viewers to draw their own conclusions. But, that journalist is also responsible to provide viewers with the whole story, so that they can reach informed conclusions. This, as I've already stated, is where the Englighten Us fails. In fact, Carchman's coverage is so lopsided it's downright irresponsible. Most disturbing is Carchman's take on what Ray will do in the future. "He has said on camera that he would not practice the sweat lodge moving forward. I, you know, I don't know what he will do, and I have to take him at his word, but has said that publicly." Listening to his attempts to rescript this tragedy as an unforeseeable accident, as caused by chemical poisoning, as absolutely not his fault, as three dead people who gave their "all," it occurred to me several times that he has no intention of keeping that promise. He's still romanticizing the sweat lodge as he has reconceived it – not as a cleanse, but as a "marathon" and a death/rebirth. He still has no intention of acknowledging the danger his physical challenges pose to participants who put far too much trust in him. I was unable to verify Ray's claim that Allyson Luchak had envisioned this documentary as an indictment of an overzealous system that prosecuted Ray unfairly. The only commentary I could find from Luchak was troubling enough, for other reasons. 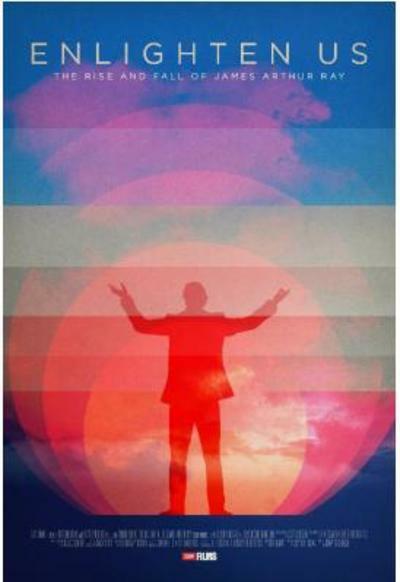 "We really wanted to show really this was not a cult. These were not cult members," says Luchak. "These are people like you, like me, who were looking to move their lives along as we all do. They had a really hard week and a very demanding physical situation." People "who were looking to move their lives along as we all do..." What does she think cult members are?! They're not people who trying improve their lives by putting their trust in leaders and teachers they think know better how to do that? The people who survived their brush with James Ray's giant ego can define themselves however they please, and their rejection of the cult label is both fair and understandable. What is less understandable is a professional documentary producer using the term "cult victim" as a slur, as a way to "other" people – they're not normal people like you and me. This kind of diminishing and marginalization is exactly why cult victims are often too ashamed to get the help they need and to heal from cult abuse. It is, once again, completely irresponsible. Really good follow up to your first really good article on this spectacle of a grossly cynical 'comeback narrative' being orchestrated.